Ancient Chinese Vase? Any help appreciated. I'm not sure what I have here but I thought I would get an educated opinion before I shelled out money for a professional appraisal. Anyway, I found this vase for a few dollars at a local VoA. To me it looks very old but then again I know nothing of ancient pottery except what I've seen on Antiques Roadshow. 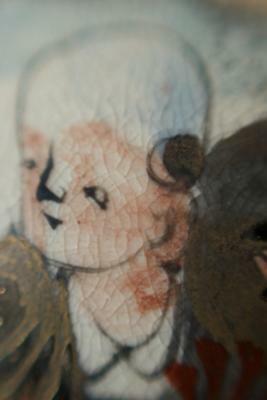 It looks as though some of the darker glazing is faded as shown in the pictures below. Looks like there used to be a darker ring around the lip that's faded. There are no identifying marks on it anywhere. The vase is about 5 1/4 inches tall. 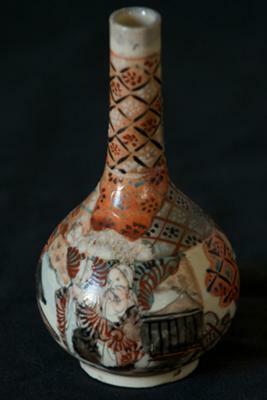 Comments for Ancient Chinese Vase? Any help appreciated. Is the body material yellowish and the glaze crackled? Does the object "ring" when tapped? If the answer is "yes" for the first two and "no" for the third, then you have a Satsuma vase on your hands. This type of Satsuma was first produced at the beginning of the Meiji period up to the present day. It is purely an export ware. The Japanese themselves is said to have little interest in the wares. Is there an impressed mark on the base? It can be difficult to date the object without any marks. 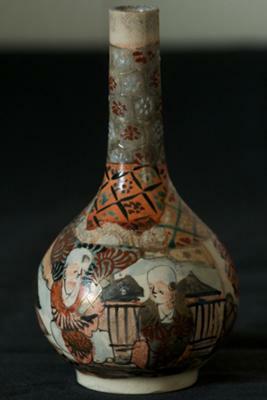 Your vase could be from the Taisho to early Showa periods. 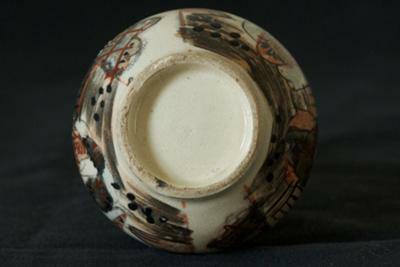 The colors and some of the patterns used resemble Japanese porcelain rather than Chinese. If it were Chinese, it would have to be more recent.